Last week, The Brothers Brick attended the preview opening event at the LEGO House, the new LEGO experience centrally located at the home of the brick in Billund, Denmark. 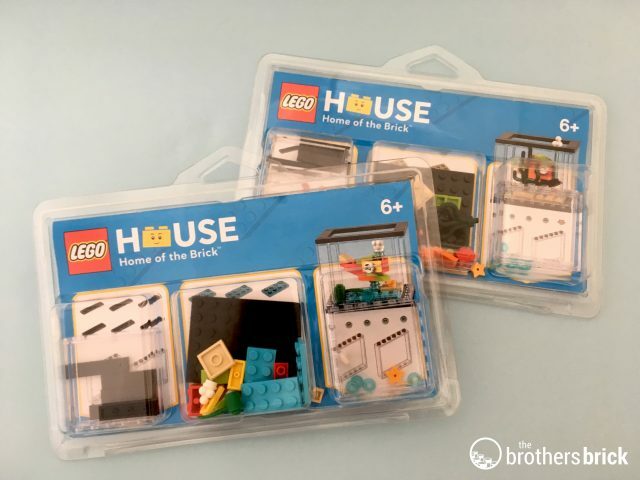 Two of the exclusive Pick-A-Model sets available at the LEGO Store within LEGO House are mini fish tanks. These will provide a memory of the day as one of the awesome attractions is a huge selection of bricks available to build your own fish, scan it and then watch as it happily starts to explore the digital underwater world around you. The instructions are for two different Fish Tank pick-a-model builds, 3850060 and 3850061, with 33 and 34 parts respectively. Each set comes in a blister pack with parts and a instruction booklet but they are simple builds that can be made with similar parts you have at home.